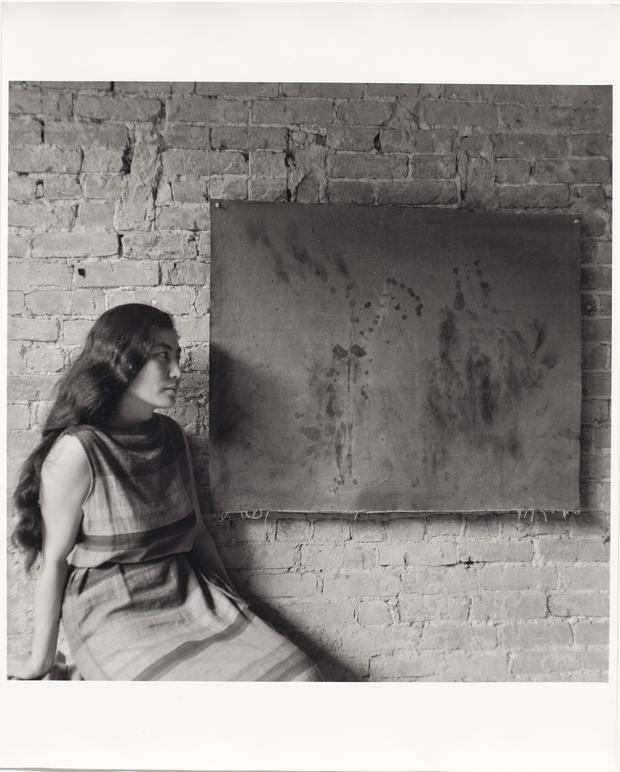 Yoko Ono'slate husband,John Lennon, called her "the world's most famous unknown artist." Ono appeared on most Americans' radar in 1968 as Lennon's girlfriend. As a young teen, Kurt Andersen knew Ono was some kind of artist, but he was far more focused on how she seemed to be affecting Lennon's public persona. 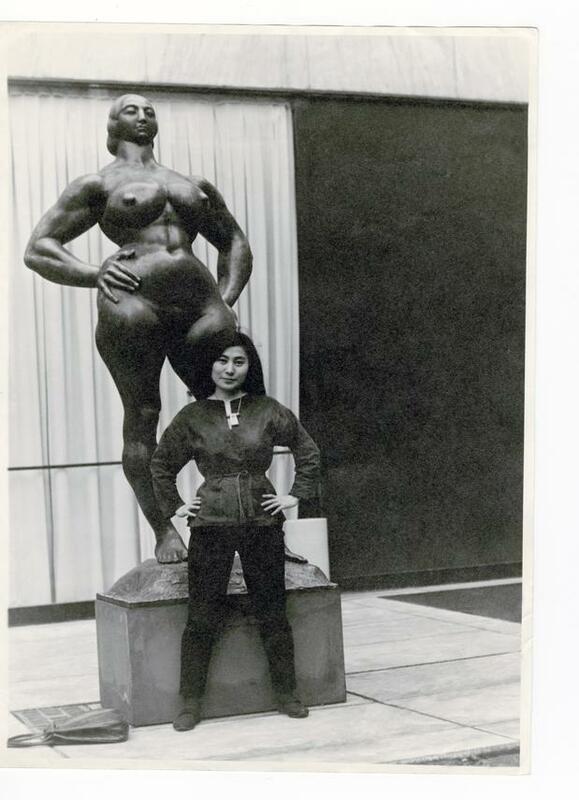 The rest is history --- or myth.But before she became a character in the Beatles saga, Ono was a groundbreaking young artist in New York. 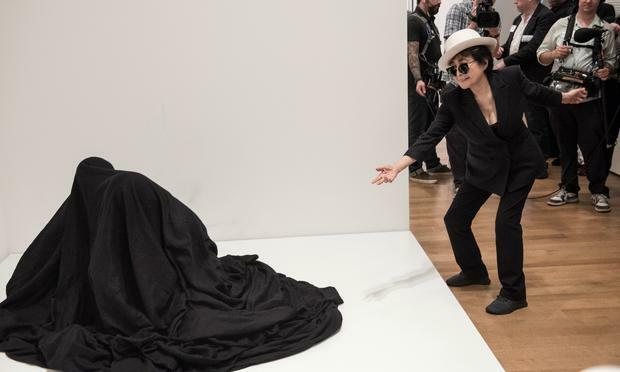 Kurt visits a newretrospectiveof her work called "Yoko Ono: One Woman Show 1960-1971," which runs all summer at the Museum of Modern Art in New York. 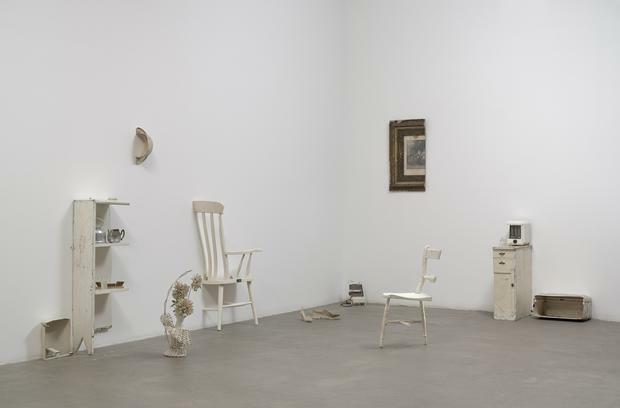 Much of her half-century-old artwork would look at home in a gallery today. See some of Ono's exhibit below. In addition to her art, Ono's music was well known among the avant-garde, if not the mainstream. But in recent years,Onohas found big-time success withten number one dance singles, and remixes by artists like DJ Spookyand Peaches. Forty years after she founded the originalPlastic Ono Bandwith Lennon, Ono recorded the albumBetween My Head and the Skyunder the same moniker with their son,Sean. Making the album, Ono said, it brought back memories of her collaboration with John. "I was on the couch, closing my eyes, and suddenly someone put a coat on me. John used to do that when we were makingDouble Fantasy," Ono tells Kurt Andersen. "In my sleepy head I thought that was John. Then I opened my eyes, and it was Sean. It was exactly the same army surplus coat." Ono's work has always been animated by her feminism. Sometimes that means using vocal techniques that don't sound traditionally pretty. "I want to break the sound barrier to show that the woman has a strong voice, too," she says. "Women's plight, so to speak, is still there."